The night vision binoculars Viking 2x24 WP were produced on the basis of the Viking 2x24 LT night vision binocular. The binoculars have a higher level of water resistance IPX5, the IEC 60529 standard (jets of water directed at the body from either side do no harm to the device). Like all the Yukon Advanced Optics® night vision devices, the Viking night vision binoculars are light and compact. 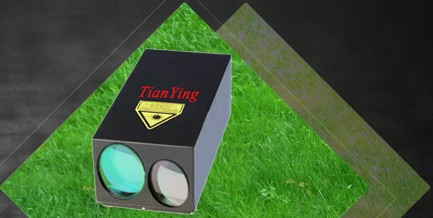 Fixed interpupillary distance coupled with the objective central focusing makes them dependable and easy to handle. The powerful IR illuminator improves the quality of observation at a distance of up to 150 m and is absolutely necessary in total darkness. The specially designed blinker protects your eyes from outside flare and hides the luminescence of the tube. The patented Eclipse™ objective caps system provides a number of advantages: caps reliably protect optics of the device from damage, dust and moisture; when open, they can be easily leaned back on the body and do not hinder observation. Night Vision Binoculars NVB Tracker is a compact professional device for effective observation in low light conditions as well as in complete darkness. 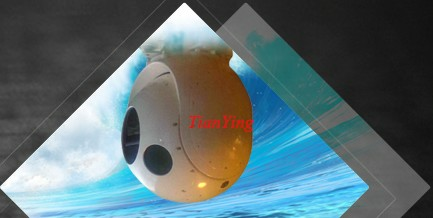 The device has comfortable central focusing, fixed eye span distance and infrared illumination. 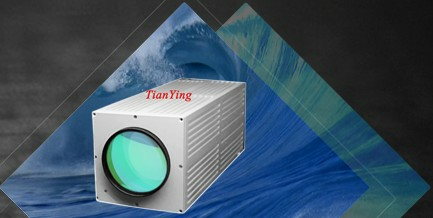 Infrared illumination substantially increases detection range and is necessary for observation in complete darkness. Models DL and Pro have two independent infrared illuminators for long range and short range detection. The binoculars are made from two independent image intensifying modules, placed in an one-piece housing made of water-resistant plastic with special coating. Non-slippery coating adds additional comfort. Soft, one-piece eyecups prevent external light intrusion and light leakage from the device. Eclipse™ objective lens caps can be opened to fit on the binoculars' body, preventing dangling lens caps. For the user's convenience they can be rotated. The device is completely self-contained and can work up to 10 hours from one 3V battery (CR123A) at the temperatures ranging from -22°F to +104°F (from -30°C to +40°C). Remove battery cover (1) (in models DL and Pro short range IR illuminator). Install battery CR123A, with the correct polarity. Replace the cover. · Open objective lenses protective caps (2). To fix, press them to the body near the axis. · In a dark place, press the "ON" button (3) to switch on the binoculars. A green light indicates that the device is working (in a model DL the LCD indicator (9) is activated for 10 seconds). The device can be tested in normal light conditions with protective lens caps closed. Never open them under these conditions. · To switch on the infrared illuminator press the "IR" button (4). A red light comes on (in a model DL -- a corresponding pictogram in the LCD signals the illuminator is switched on). 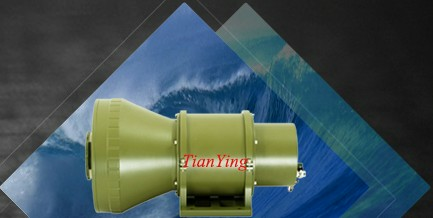 To change the illumination range between short and long operation in models DL and Pro press button (7). · Point the device to an object situated at a distance of 100 metres. Rotate the central focusing wheel (5) and leavers on the eyepieces (6) until the maximum quality image in both vision channels is reached. · Observe objects of interest. The device can only be tuned by rotating the central focusing wheel (5). · At the end of observation switch off the device by pressing the "ON" button, and cover the lenses with the caps. Place the device in the case. To warm the device, do not remove from the case this prevents the appearance of condensation in the electronic and optical elements. It can only be used again after 5 hours. the button (7) determines the minutes, and the button "IR" (4) the hours. Pressing the "LCD" button for a short time switches on the indicator and the time is set. The LCD Readout operates normally at temperatures ranging from -50C to +400C. Attention! Do not forget to switch off the device after use by pressing the "ON" button (3). In order to test that the device is switched off, press the "LCD" button. If the device is switched off, the indicator will not activate. 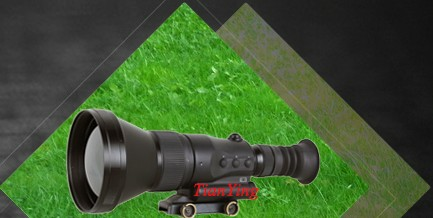 The basic complete set of the device is equipped with a doubler additional device on the lenses, increasing the magnification of the binoculars to x3,5. The binoculars can be used without the doubler. In this case the characteristics of the binoculars will correspond with the model NVB Tracker LT.
· Cleaning optical parts can only be done using special cleaner for multicoated lenses, with a soft cloth. Dust can be removed from the lenses with a soft brush. · The body of the binoculars can be coated in Vaseline using a soft cloth. Keep the device in its case, away from heat and ventilation shafts, in a temperature not less than +10°C and humidity not more than 70%. If the device is not used for a long time, it is necessary to remove the element for recharging. Check that the battery is installed properly. Install the battery according to the (+) and (-) polarity, ensuring that the markings on the battery and battery compartment correspond with one another. Check the battery contact to ensureit is clean and free of corrosion; if necessary, clean the contact. Also, make sure that the contact spring is not squeezed; it is possible for one to raise it. Be sure that the cover of the battery compartment has been installed correctly as it may not have been screwed on properly. If necessary, replace the battery as it may be depleted and ensure that the binocular is in the “ON” position. These dots are minor cosmetic blemishes resulting from tube production processes and do not interfere with the reliability or performance of the binoculars. The binocular may flicker or flash when used in a bright environment; to correct this, place the caps over the objective lenses and enter a dark environment. The binocular will restore itself to a natural functioning state in several minutes or hours, depending on how long it had been exposed to the light. The binocular may flicker for the first several seconds of use, even when in a dark environment, before it corrects itself and functions properly. The binocular may “snow” for several minutes after being exposed to a bright light source (daylight, a car's headlights, fire, etc.) even if being operated in complete darkness. Adjust the focus of the eyepiece and the objective (see point Use and Testing). Check that the lenses are not foggy or dusty; if they are, carefully clean the external surfaces of lenses with a soft cotton fabric. Replace the battery if the total battery charge is less than 2.2 V. When the binoculars are brought into a warm environment from a cold one, condensation may appear on the internal lenses; you must wait two hours before using the unit. Bright light sources, such as headlights, may cause visibility to decrease or disappear and the image to flicker. Turn the power off and turn the binoculars away from the light source; visibility will restore itself in several minutes.